May is here! Can you believe it? The weather has been awfully nice and I hope it stays this way so I can keep wearing summer dresses like this one here. This is one of my favorite vintage dresses I have ever thrifted. The mustard color is charming, the set of buttons and overlay details in the back is amazing, and I love how it has a midi length too. I added some modern flair to this vintage piece with a pop of red, Dolce Vita leopard print sandals with cut out heels, and a Chloé bag. Thrifted vintage mustard midi dress by Morgan Taylor. 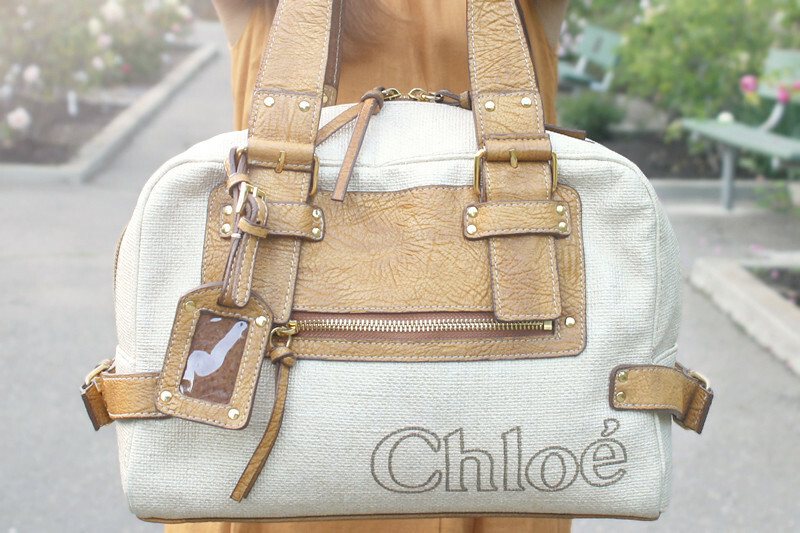 Two tone leather canvas satchel by Chloé. Lilly leopard print cut out sandals by DV by Dolce Vita. Love the outfit! i have the same pair of shoes but the back part makes it uncomfortable.. i wonder if u face the same issue.. I'm really loving this whole outfit! 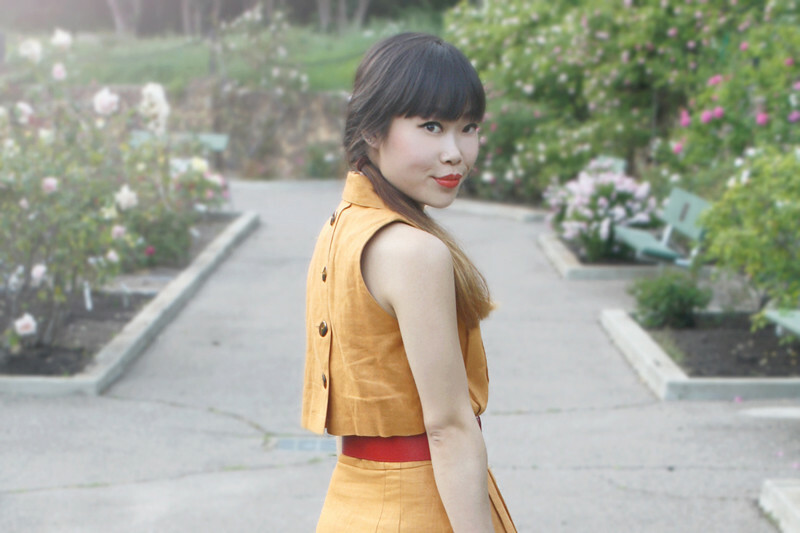 The mustard dress with the buttons in the back is great and the red belt looks perfect with it. Those leopard print shoes are fantastic too! That dress is a gorgeous shape, and I love the button detail :) The red belt is just perfect with it, amazing outfit! You looking awesome specially your high heels the animal print on this put a gaze on your vintage look.